When they first start thinking about Facebook ads, many jewelry brands assume these ads serve one purpose only: to convert customers. Of course, every jewelry brand wants to convert customers, but these ads can have other objectives that lead the customer through the sales funnel, from awareness to purchase. In fact, Facebook currently has 11 objectives grouped within the three categories, which represent the three steps of the customer journey: Awareness, Consideration, and Conversion. These 11 objectives are Brand Awareness, Reach, Traffic, Engagement, App Installs, Video Views, Lead Generation, Messages, Conversions, Catalog Sales, and Store Visits. When it comes to advertising your jewelry brand on Facebook, some of these objectives will be more helpful than others, depending on your goals and the specific thing you’d like to promote, whether that be a product, promotion, event, or something else. In this blog post, we’ll cover the three objectives that you’ll probably use most for your jewelry brand. These objectives are Brand Awareness, Lead Generation, and Conversion. 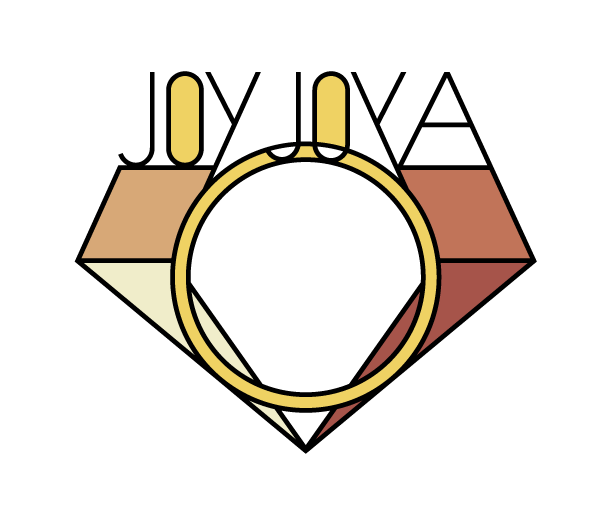 Located within the category of Awareness, the Brand Awareness objective is ideal for new jewelry brands or for established jewelry brand launching new products and collections or hoping to reach customers in previously-unexplored demographics. If you choose to advertise with the objective of Brand Awareness, you must realize that you may or may not see immediate return on your investment, since the goal of these ads is not necessarily to sell immediately. Instead, the goal is to pique curiosity among customers, invite them to get to know your brand, build trust, and become a familiar face.Typically, the call to action for brand awareness ads is to “Learn More”. Found within the category of Consideration, the Lead Generation objective is designed to attract customers who are curious enough to interact with your content – and even provide you with their email address, so you can continue communicating with them long after the ad has left their feed. If you’re a new jewelry brand, you probably don’t have a very robust email marketing list. However, building that list is extremely important, so you can keep in touch with prospective customers on a regular basis and have more control over the way you communicate with them. Typically, the call to action for Lead Generation ads is “Sign Up”, and you can encourage prospects to sign up by offering them a special discount or other perk in exchange for their email address. Finally, if you’re eager to sell – and you’re feeling confident that your brand is ready to market to potential customers this aggressively – then you’re ready for the Conversions objective, located within the Conversion category. The ultimate goal of these ads is to motivate a customer to buy the product(s) featured in the ad. The call to action in these ads is almost always “Shop Now.” To see an example of a Conversion ad from Tiffany & Co., view the screenshot below. As you can see from the screenshot, this ad features a carousel of images. The first is actually a video, while the images that follow are still photos. 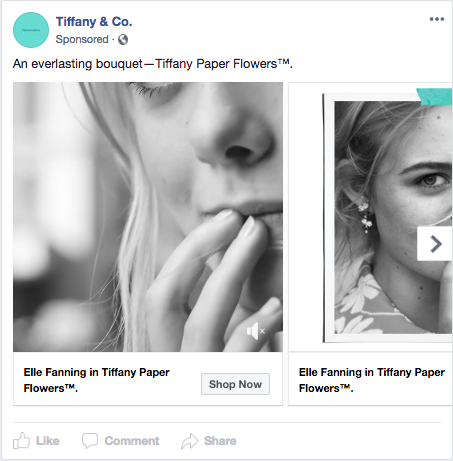 All the media assets in this carousel support the Tiffany Paper Flowers collection, and Tiffany & Co. is hoping to convert prospects to customers with the “Shop Now” call to action. Have you experimented with any of these objectives in your own Facebook advertising strategy? If not, which one would be most useful to you at this point in time?